This will enable & install the bundle in your pimcore project as well as run the assets:install command. Alternatively you can log in to your admin area go to Tools > Extensions and enable the bundle from the list by clicking on the appropriate icon. Permission Objects: Wrapper for default data type objects for recursive permission calculation. Permission Href: Wrapper for default data type href for recursive permission calculation. 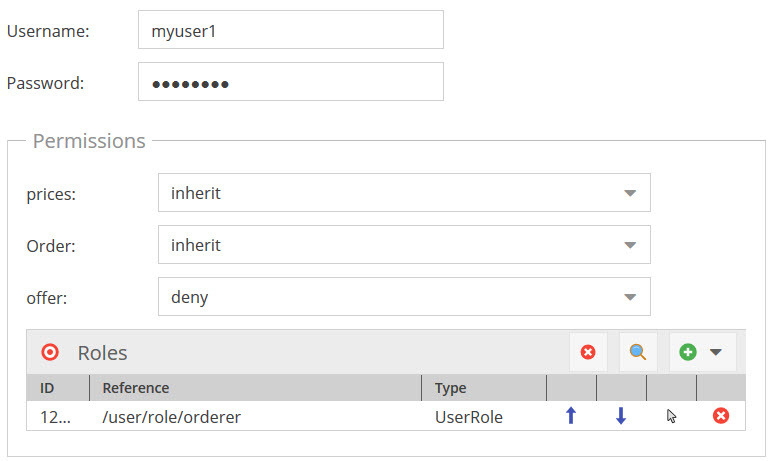 returns an array of all permissions for the given object, automatically merges all permission resources of objects related to the given object with 'Permission Objects' or 'Permission Href'. merging: When permission is set to allow / deny directly in object, this is always used. Otherwise optimistic merging is used -> once one permission is allowed, it stays that way. The Service is registered at the container with the key bundle.frontendpermissiontoolkit.service. For how to integrate Pimcore objects with Symfony Security in general have a look at Pimcore docs. In order to use Permission Resources in Symfony Security definition, you could export each allowed Permission Resource of an Pimcore object as role. To do so, add the trait FrontendPermissionToolkitBundle\CoreExtensions\Traits\PermissionResourcesAsRolesTrait to your Pimcore user object and make sure there is no other getRoles method defined in the object. This method returns all Permission Resources the user is allowed prefixed with GROUP_ to as an array. Note: To apply changes of permissions in the user object, the user has to logout and login again. To show/hide documents in navigation, you can assign Permission Resources as properties to Pimcore documents. Just add a property named permission_resource with name name of the permissionResource as value to the document. A special navigation builder shipped by this bundle (FrontendPermissionToolkitBundle\CoreExtensions\Navigation\Builder) then can show/hide documents in navigation based on the permissions of the current user. Make sure that you deactivate the caching of the Pimcore navigation creation! This only hides the document in navigation. It does not check permissions when the document is called directly via its url. Add an additional check into controller or access control to make sure the document cannot be called with missing permissions.